The carbon blade can be special treated (electroplated) which creats colored patterns on the blade surface. 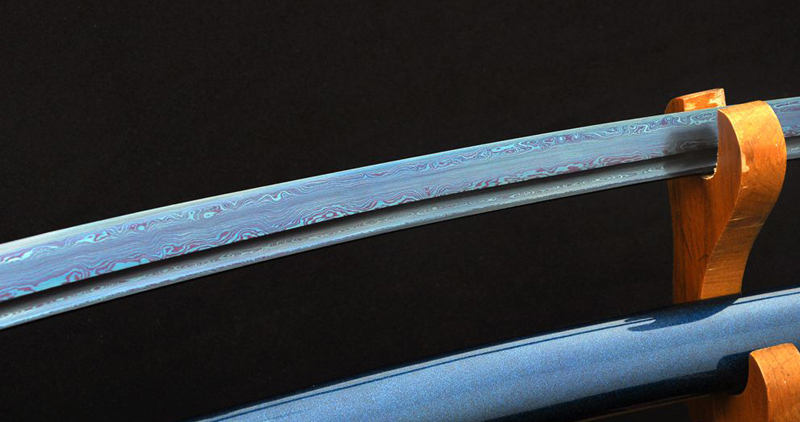 Such kind of blade swords are made of the same steel materials commonly used for samurai sword making, but at particular steps, the process is slightly modified to obtain the beautiful color of the blade. The hamon, the blood groove, the tang morphology, the curve and all the blade features obey the same traditions as the other swords. The specific treatment applied on the blade surface does not harm the blade functionality, swords made of quality steel electroplated in color will perform same as a non colored blade. In contrast, the color not only looks beautifual, but can prevent the blade from rusting. The colored blade sword is capable in three types: red & black blade, full black blade and blue blade. The color will not be worn off if you don't sharpen the blade. For cutting, it is better not to cut very hard things. 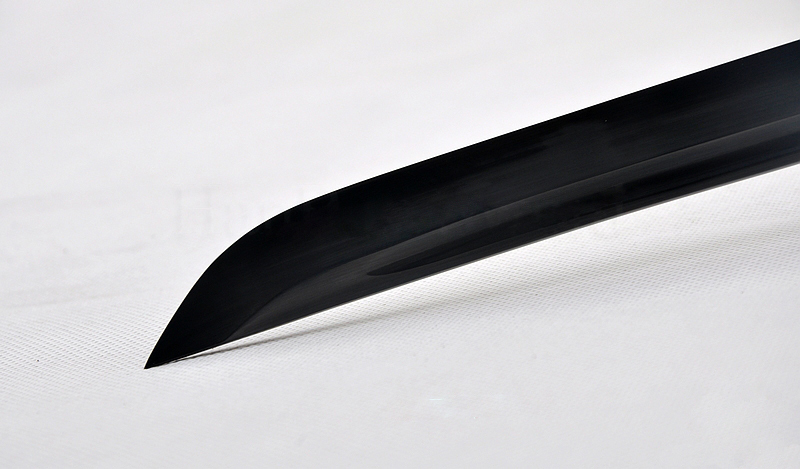 Our electroplating blade katana swords are made of high quality carbon steel of your choice except Kobuse construction blade. Nice. Can you make other colors like green? Yes, green color blade is also available. Welcome to contact with us anytime if there are any questions. can you email me a picture of green? Also, can this be applied to Yanyue Dao?